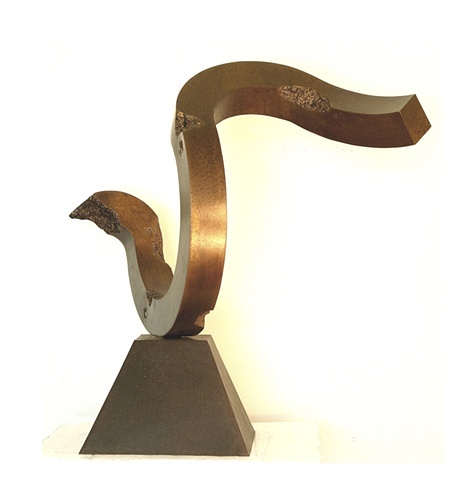 Pedestal bronze sculpture with dark golden brown patina that looks dramatically different from every angle. On bronze base. The piece is fabricated, not cast, and is unique. 1 of 1.